You can use keyboard shortcuts to navigate Message or perform actions quickly. You can also turn keyboard shortcuts off. There are two types of keyboard shortcuts, Navigation keyboard shortcuts that help you explore Message and Conversation keyboard shortcuts that help you perform actions in your messages. Type '?' 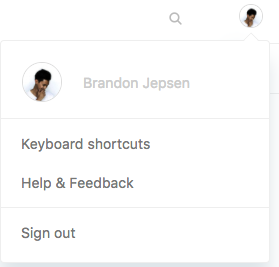 or click the profile icon in the upper-right, then select Keyboard shortcuts. Click the Admin icon. On the Personal tab, disable the Keyboard Shortcuts setting. Alternatively, from the list of shortcuts, toggle the Enabled setting to off.